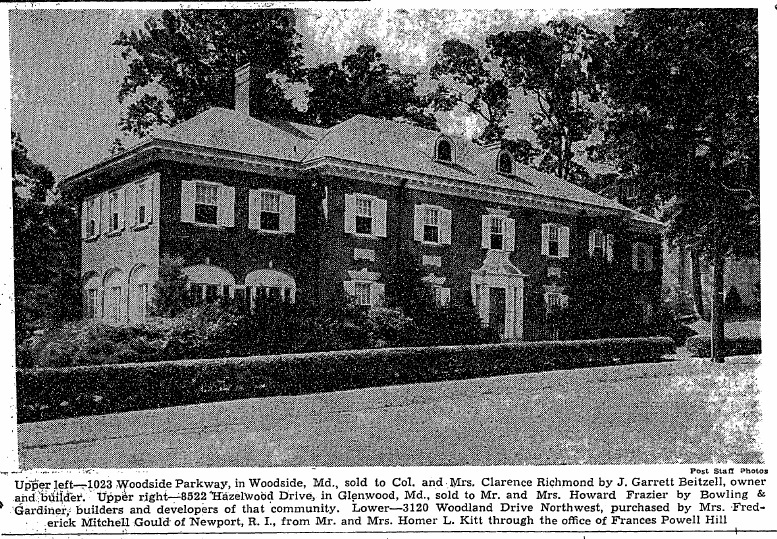 The owner of the vacant lots where 3120 Woodland Drive was to be constructed, George S. Silbee, applied for and was granted an Application for Permit to Build numbered 2170 for its construction on September 10, 1923. He listed the architectural firm of Porter & Lockie as responsible for its design, which was to be constructed by the Charles A. Langley building company. He indicated the cost of the dwelling to be $40,000, a substantial sum for the time. The building permit indicated that the house was to be constructed on solid land atop a foundation composed of concrete. It would measure thirty-seven feet deep by eight-one feet wide. The three story houses would feature a brick exterior and a slate roof. External brick walls were to be thirteen inches thick on the ground floor, and nine inches thick on upper levels. The home was to be heated by a hot water system utilizing radiators. It was built on lot 2 on Square 2124. 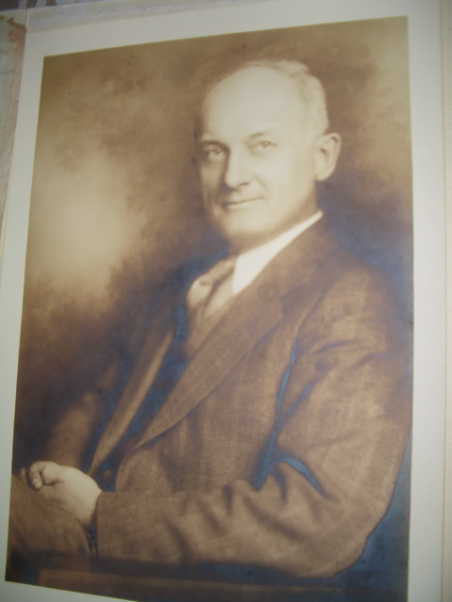 Owner and builder George S. Silsbee had a lawyer for his real estate development company named George H. Lamar as his representative when the house was sold to its first owners, Homer L. and Jessie E. Kitt. They purchased the house on September 26, 1925. The house was later put into Jessie Kitt’s name, on January 1, 1933. The Kitts had moved into the house from a wood frame residence they had built in 1921 at 3407 Huntington, Street, NW at the cost of $10,000. Homer Lemar Kitt (1880-1944) got his first job in a piano factory in his native Indiana and became a leader in the Washington music business after moving here in 1916 to work for the Arthur Jordan Piano Company. 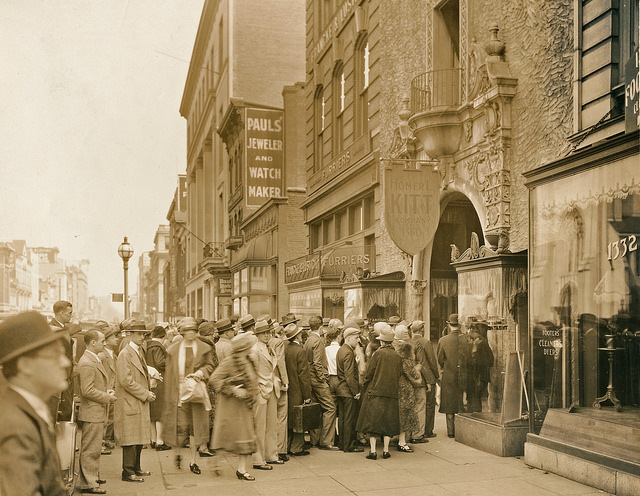 His own Kitt music store opened in 1922, seen below. Kitt, below left, had been born on March 3, 1880 in Clear Creek, Huntington, Indiana, the son of Obadiah Kitt (1850-1915), and Saloma Ann Stahl (1852-1926). He married Jessie Elizabeth Webber on April 4, 1906, and they had two children together, twins Elizabeth Webber Kitt and Marjorie, born in 1912. 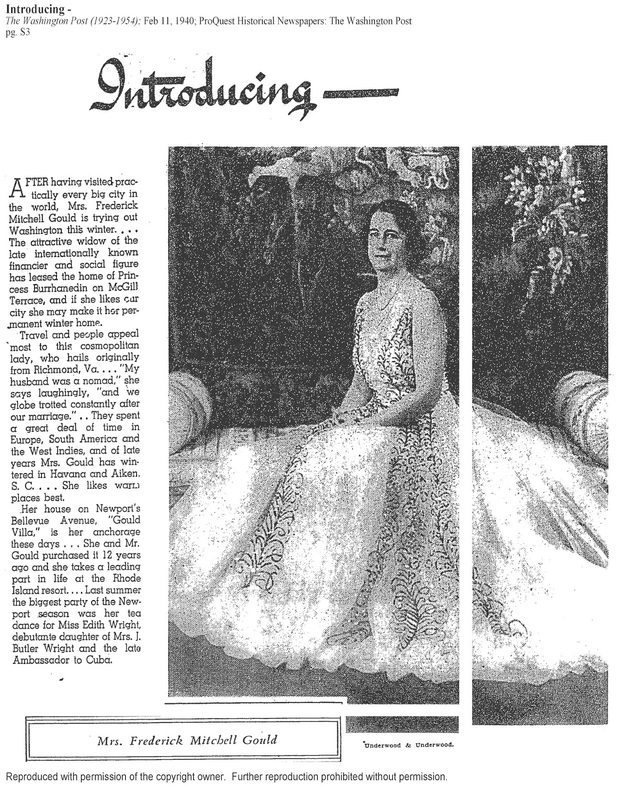 The family was enumerated at the house in the 1930 census, which reveals that daughter Marjorie either did not survive childhood, or had moved out of the house by age 17. Kitt estimated that the house was then worth $100,000, a substantial increase over the construction cost of $40,000. The family enjoyed a radio in the house, one of the more unusual questions asked of occupants that year. They also had two live in servants including a 28 year old German born maid named Marguarite Nerbuhn and 27 year old Maryland native George Mack, who worked as a butler. Homer L. Kitt was originally in the music business in Chicago, before founding the Kitt’s Music Company in Washington, DC in 1922. Its successor is celebrating over a century in continuous operation. The first store was located on 13th and G Streets NW, just down the street from the White House (previous page, at an unknown event in the 1930s). The individual that prompted Kitt to move to Washington, DC was Arthur Jordan, a successful businessman in Indianapolis in the late 1800s, involved in the poultry, egg, and butter business, and, according to lore, was the first man to ship a trainload of poultry from Indianapolis to New York City. At one point he owned scores of packing and cold storage plants in Indiana, Illinois, Kentucky, and Ohio, before selling out in 1903. He then became involved in a number of other manufacturing, retailing, and life insurance ventures, while also investing in Washington, D.C., real estate, including a building on the corner of 13th Street and G Street, home to the Juelg Piano Company. In 1912 Juelg was on the verge of going out of business, and when Jordan acquired it he renamed it The Jordan Piano company. In 1916 he persuaded his friend Homer L. Kitt, who had his own music business in Chicago, to move to Washington, D.C., to become general manager and run the retail store. Kitt was soon taken on as a partner. In addition to pianos, the store’s merchandise included reed organs and other musical instruments as well as sheet music and the phonograph, still in its infancy. Jordan Piano would also ride the wave of popularity of the player piano, which enjoyed booming sales in the 1920s and prompted the company to open branch stores, including one in Richmond, Virginia. Jordan and Kitt also expanded their operations to another corner of 13th and G streets. In August 1922 they acquired Knabe Warerooms, Inc., which primarily sold Knabe pianos, a venerable German brand, as well as other high-end instruments. Officially, the buyer of Knabe was the newly formed Homer L. Kitt Company. Jordan’s involvement was kept from the public, the newspaper reporting that the firm had $200,000 in capital supplied by Kitt and his partners, prominent area businessmen C. N. Hopkins and H. R. Appold. In addition to carrying Knabe pianos as its main line, the Homer L. Kitt Company also indicated that it planned to add “talking machines” to its inventory. 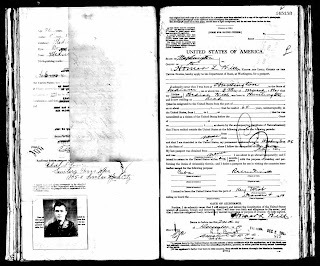 An image from Homer Kitts passport application appears at right, when he had planned a recreational trip to Cuba in December of 1919. For more than 60 years Jordan Piano and Homer Kitt Piano operated independently, though covertly joint-owned. They carried different lines of instruments and operated under separate management, and their salespeople became fierce rivals, loathe to lose a sale to the business across the street. Both suffered through the Great Depression of the 1930s, cutting costs and adding any products that might bring a sale, including radios and refrigerators. In the meantime, Arthur Jordan created the Arthur Jordan Foundation in 1928 to administer his philanthropic endeavors, and when he passed away in 1934 his interest in both piano companies was transferred to the charitable foundation. The 1930s also saw the Kitt store a victim of arson. In the early morning hours of September 14, 1938, fire trucks were called to the scene to put out a blaze that a subsequent investigation revealed had been set separately in the basement and the first two floors. Two earlier attempts, according to press reports, had been made to set the building on fire. The blaze caused $50,000 in damages, including $15,000 worth of sheet music, most of which was covered by insurance. Some of the firemen who responded to the call, however, were injured. One man had a hand cut by falling glass, a battalion chief was briefly overcome by gas in the basement, and a firefighter named Buck Wright reportedly lost his false teeth. The store reopened for business a day later and eventually its damaged Spanish facade was replaced by an art deco design that was in vogue (right). Kitt died in 1943, and the Arthur Jordan Foundation became sole owner of the cousin piano companies, both of which barely scraped by due to World War II, when supplies of pianos were disrupted as manufacturing focused on the war effort. Before his passing, Kitt had in fact done his part in the war effort, opening a Music Canteen, as well as offering free repair services and practice space to instrument-playing servicemen. Replacing Kitt as general manager was his secretary, Frances Jones. Business picked up following the war as the economy soared and returning servicemen raised families and bought homes, many of which included a piano. While the Jordan and Kitt stores had become the leader in Washington, D.C., they also grew staid with time. In the 1960s when electric guitars became highly popular with young people, Kitt’s carried the Gibson line and Jordan’s the Fender, but neither offered discounts and were soon overshadowed by Washington Music Center, which sold guitars at a discount. In 1968 the two stores were finally united when the Arthur Jordan Foundation merged the operations, creating Jordan-Kitt Music Inc. A year later Checci Corporation, a diversified consulting firm, bought the business. The Arthur Jordan Piano Company and Kitt's Music proudly serviced Washingtonians for decades, before joining to become Jordan Kitt's Music. Today, Jordan Kitt's operates stores in two of the country's most vibrant top-10 markets - DC Metro and Atlanta - and is one of the oldest, most reputable piano dealers in America. They represent only the finest brands of acoustic, digital, hybrid and player pianos. A privately owned and operated family business, Jordan Kitt's Music has sold more than 250,000 pianos and teaches over 40,000 piano lessons annually. They have provided pianos, organs and technical services to numerous venues and institutions such as The White House, The Music Center at Strathmore, The Kennedy Center, Wolf Trap, The Atlanta Symphony Orchestra and Spivey Hall, just to name a few. In addition to piano sales, a significant focus of Jordan Kitt's Music includes piano service, rentals and lessons. They also operate one of the largest concert and artist operations in the country, providing pianos for famous and up-and-coming artists performing at famous venues. Now based in College Park, Maryland, Jordan-Kitt Music Inc. is the parent company for the Jordan Kitt’s Music chain of a dozen retail stores in Maryland, Washington, D.C., Virginia, Delaware, and Georgia, as well as for its interest in The Beautiful Sound music store in Chicago, Illinois. Jordan-Kitt is the largest piano and keyboard retailer in the United States, offering a wide variety of acoustic and digital pianos. Most recently, Jordan Kitt's formed a partnership with the Washington Nationals Major League Baseball Team resulting in their acquisition of a brand new Viscount Theatre Organ for the stadium and numerous "Pianos in the Park" events through-out the season each year. They also support Strathmore's annual student concerts which provide over 20,000 Montgomery County School Children with an orchestral music experience in the Music Center concert hall. Other partnerships and events Jordan Kitt's has been involved with include providing instruments and associated services for the Pope's historic visit to Washington DC. Every four years they provide pianos and services to all Inaugural Events, including the Presidential swearing-in ceremony. Jessie Kitt relocated to an apartment in the Kennedy-Warren and sold the house on September 8, 1942 to Mary Sizer Puller Gould. 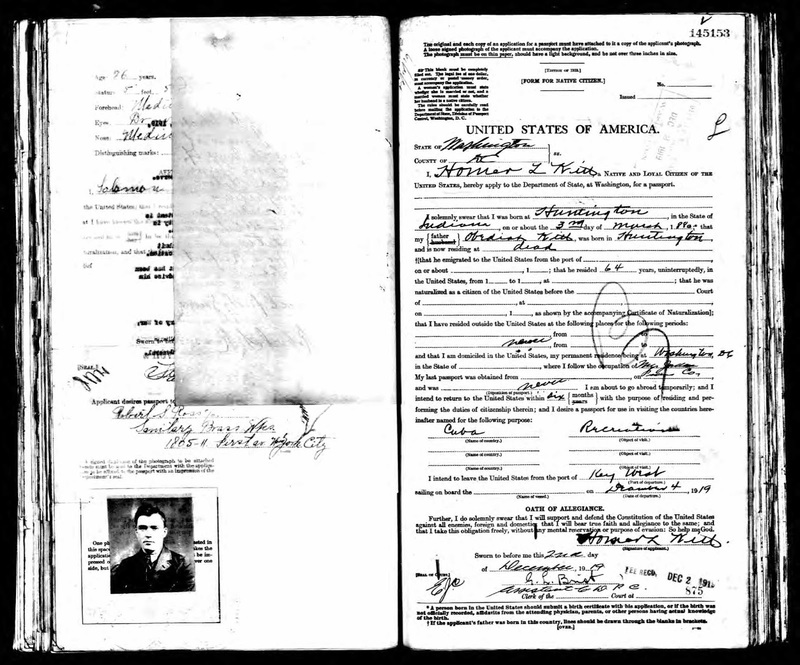 Homer Kitt died on November 14, 1944 and was interred in Rock Creek Cemetery. Mary Sizer Puller Gould was the widow of Frederick Mitchell Gould of New York City. He had been born in 1848 in Coldwell, New Jersey, the son of Mitchell Gould. Mary was born in June of 1894 in Virginia as Mary Puller, the daughter of James P. Puller of Richmond, Virginia. She was widowed by 1930. She spent her summers at the “Gould Villa” in Newport, Rhode Island, located on Bellevue Avenue at Lake View Street, now apparently demolished. She first began renting prominent houses in Washington, DC in 1940, and began to entertain her close friend, Mrs. Harry Truman. That seems to be the impetuous to purchase a winter home in the Nation’s Capital. 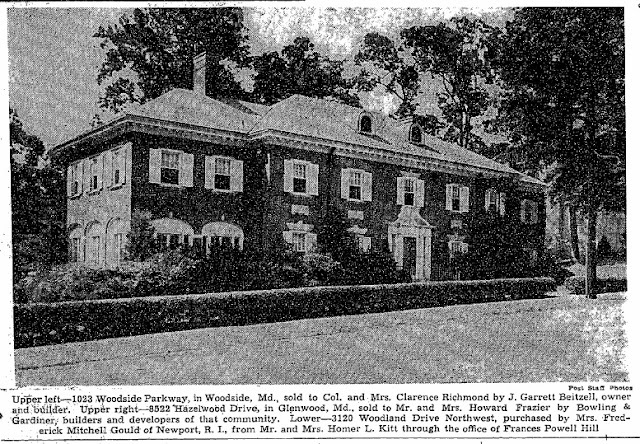 A photograph of the house appeared in the September 13, 1942 edition of the Washington Post, announcing her purchase. On February 11, 1940, the Washington Post featured Gould in their society column coined “Introducing.” It appears below. Relatively little is known about Gould or her husband, as the couple do not seem to appear in any of the ancestry online sites, nor in any census records as a married couple, most likely due to their extensive overseas travel. She was mentioned in many Washington Post articles during her tenure, seen here. She frequently had extended stays at the St. Regis hotel in New York City. It resident during that time was Charles Habib Malik (1906 – Dec 28, 1987). 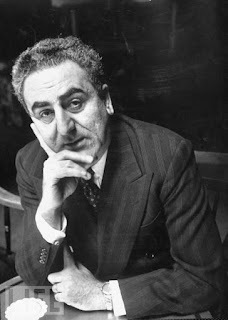 He was a Lebanese academic, diplomat, and philosopher and also served as the Lebanese representative to the United Nations, the President of the Commission on Human Rights and the United Nations General Assembly, a member of the Lebanese Cabinet, a national minister of Education and the Arts, and of Foreign Affairs and Emigration, and theologian. He was responsible for the drafting and adoption of the 1948 Universal Declaration of Human Rights. Beginning in 1945, Gould rented the house to the Lebanese government for their use as the Lebanese Legation, which lasted until December of that year. Malik, left, founded the Philosophy Department at the American University of Beirut, as well as a cultural studies program (the 'civilization sequence program' now 'Civilization Studies Program'). He remained in this capacity until 1945 when he was appointed to be the Lebanese Ambassador to the United States and the United Nations. Gould died on May 9, 1964. The Mary Sizer Puller Gould estate, represented by Edward Myers of the Riggs National Bank, sold the house on July 30, 1965 to John and Trudy C. Davis.